Our honeymoon will be enhanced with a stay in the King Bed Main Tower Non-Smoking Room. Beautifully designed and Balinese-inspired, this newly renovated room is situated in the Resort’s 17-story Main Tower offering spectacular views of Orlando, SeaWorld and the new Aquatica water park. We will take comfort in a 32-inch flat-screen TV, a desk area, a Sweet Dreams by Doubletree king size bed with fluffy pillows, a bathroom with a vessel sink, a glass-enclosed shower, luxurious brand bath products and plush towels. 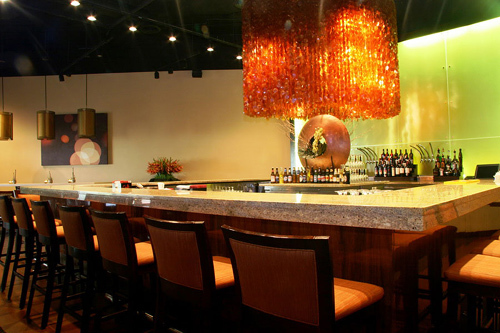 Bamboo Grill serves a bountiful breakfast daily and specializes in serving an all day menu offering a wide variety of appetizers, salads, signature sandwiches, steak and seafood in a casual atmosphere. We will enjoy our meal either indoors or on a ceiling-fan-lined veranda with patio seating in wicker chairs. 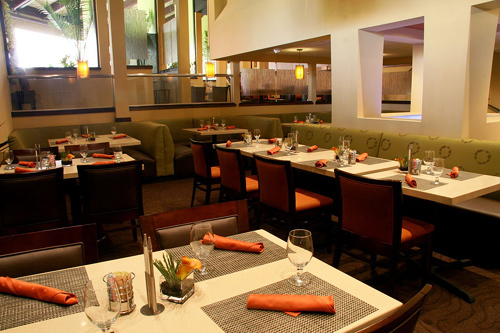 Bangli offers an inviting atmosphere where we can enjoy our favorite beverages and appetizers after a day of either relaxing poolside or visiting Orlando’s world class attractions. We will enjoy a relaxing experience and choose from a selection of premium wines and beers, signature cocktails and light fare. What a way to wake up in the morning! Imagine a delectable breakfast of our choice served in the privacy of our guest room with mimosas to toast to our wonderful honeymoon in Orlando. This is a great touch to a romantic honeymoon in paradise while enjoying the tropical and lush landscaping along with three swimming pools, recreational activities and day spa. How romantic! 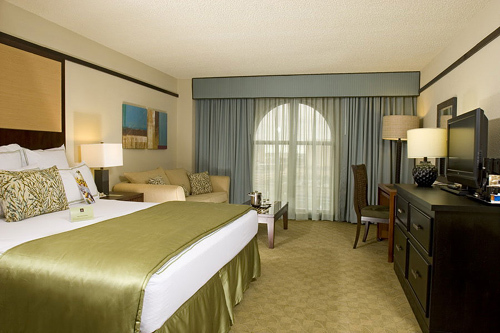 With your generous gift, we will experience a magical honeymoon at the beautiful Doubletree by Hilton Orlando at SeaWorld in Orlando, Florida! Located conveniently adjacent to SeaWorld® and its water park Aquatica, this recently renovated haven is now an official on-site SeaWorld partner hotel. We will enjoy an exceptional dining experience at one of the restaurants, take delight in an array of exclusive amenities or indulge in a soothing spa treatment at L’Esprit Day Spa. At Doubletree by Hilton Orlando at SeaWorld, our honeymoon will be everything we’ve ever dreamed of! 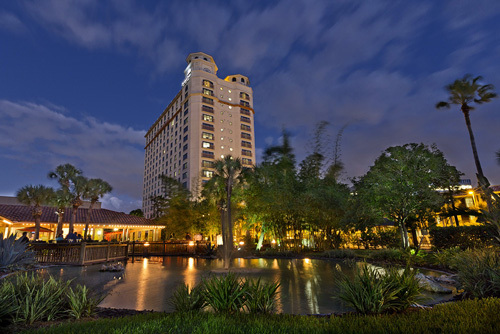 We will stay at Doubletree by Hilton Orlando at SeaWorld on our honeymoon! Our honeymoon hotel is located adjacent to SeaWorld® and its water park Aquatica and just minutes from Universal Orlando Resort®, Walt Disney World® Resort Theme Parks and The Orange County Convention Center. We will indulge in newly renovated accommodations, complimentary transportation to and from SeaWorld, Aquatica, Discovery Cove and Universal Orlando, front of the line access at SeaWorld, and more! A chilled bottle of champagne will be delivered to our room or suite upon our arrival. We will make a toast to the start of our romantic honeymoon while taking in the lush, tropical landscaping of this 28 acre paradise. A bottle of our favorite wine will be delivered to our room or suite. We will make a toast to our honeymoon in Orlando while taking in the enchanted views of the surrounding tropical paradise. We will discover romance at its best! 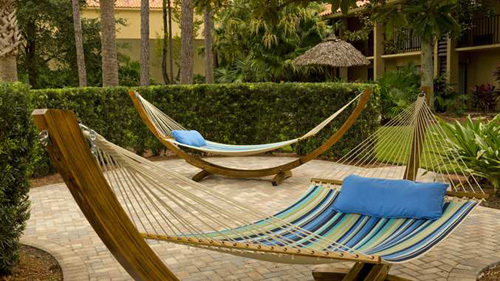 At Doubletree by Hilton Orlando at SeaWorld, we will enjoy a credit to indulge in a session of serenity and rejuvenation. From soothing massages to relaxing treatments, we will enjoy a session of bliss within the tranquil settings of L’Esprit Day Spa. We will discover the special indulgence of a couples massage on our honeymoon. Our therapists will work evenly on all of our muscles using light, soothing massage strokes. This is the perfect option if we want to achieve a pure state of bliss and overall wellness on our romantic honeymoon. We will celebrate the greatest day of our lives at the Doubletree by Hilton Orlando at SeaWorld in the exciting city of Orlando, Florida! With your generous wedding gift, you will help us experience a memorable wedding ceremony while our family and friends gather to witness our beloved day. Our on-site wedding coordinator will take care of every single detail for our big day from our ceremony to the reception and all guest arrangements. Whether we are planning an elegant event or an intimate wedding, the Doubletree by Hilton Orlando at SeaWorld will ensure that our day is pure perfection!